In home improvement, the value of hiring a licensed contractor is undisputed. Planning everything with seasoned professionals and leaving the dirty work to real experts can almost guarantee the success of your project. Still, even with the most qualified team on your side, you still have to do your share to ensure things run smoothly. 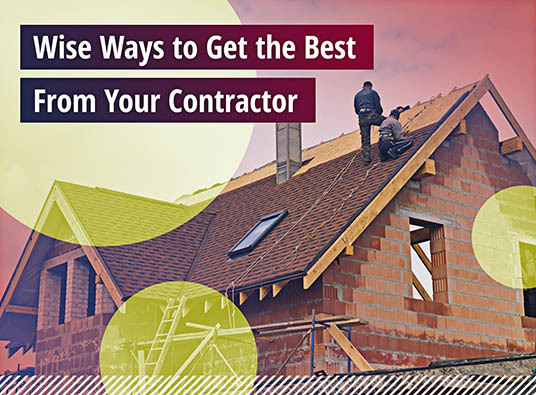 Otherwise, you might fail to harness the best your contractor could do for you. An allowance number is a figure contractors put in the budget as a placeholder for any undetermined item. If you’re undecided about the shingle product, your roofer would have to rely on guesswork to give you an idea of the project’s overall cost. Considering the broad range of price points, you could wind up spending more than money if the estimate turns out to be too low. A good rule of thumb is to be specific with the products you want. Ambiguity could affect the accuracy of the estimate. Kitchen remodeling and roofing companies agree that communication is key in any home improvement. Both parties should always be on the same page to prevent delays and avoid disputes. Establishing the best mode of communication for both sides right from the start is imperative. Prompt responses save time and make everyone feel respected. The contract must have a provision for change orders, explaining how to carry out alterations to the original plan. Any modification would affect the project’s timeline and cost, so you must make sure there’s a clearly defined procedure in place. Insulation, gutter and roofing companies appreciate homeowners who regularly check the progress of the project. You may not have to lift a finger to help the crew, but your opinion about quality carries the most weight. Since the project’s completion depends on your satisfaction, you should proactively discuss progress reports with the head of the team. At Kroll Construction, we’ll be committed to make your home improvement project as stress-free as possible. Our strong credentials are proof of our impeccable customer satisfaction history. Call us at (888) 338-6340 today to schedule your FREE, in-home consultation in Detroit, Michigan.